I am a big fan of both poetry and children, and now is the time to celebrate them both — April is National Poetry Month! To help parents, I’ve compiled some excellent web resources for children’s poetry (reading and writing) below.Also here’s one of my favorite poems ever: Eating Poetry by Mark Strand. 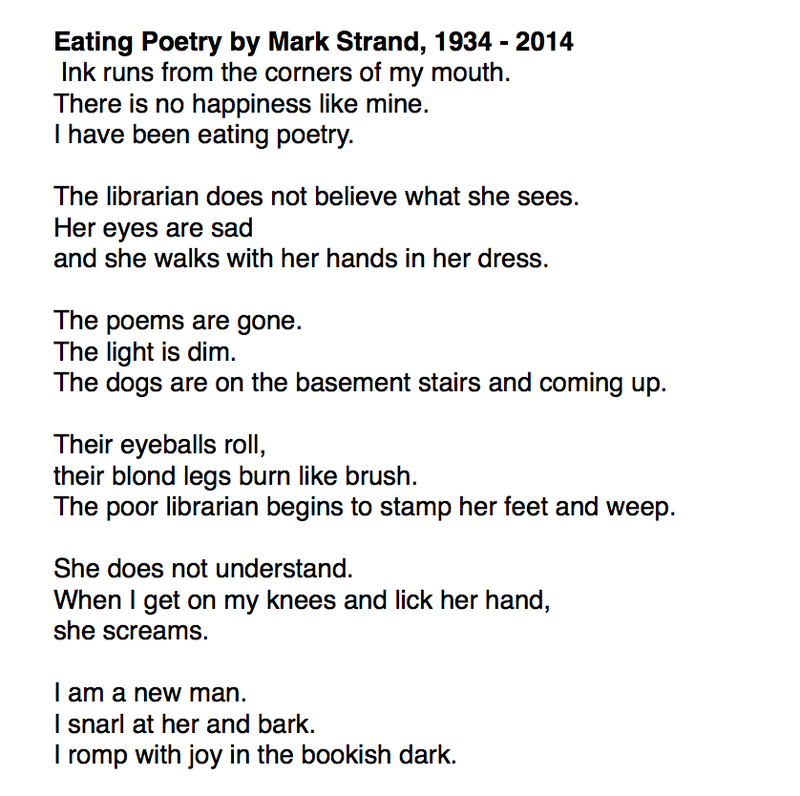 Mark passed away last year, but this poem of his lives on, and it is a great reminder of the joy of reading (and eating) poetry. Eating Poetry is one of the first poems I remember reading and completely loving. It makes several leaps of metaphor that just make perfect sense to me, and it has left me hungry for more poetry ever since. If you’ve got other resources to add, leave them in the comments below. A version of this first appeared Dadapalooza. Adam Gertsacov of our Chicago Dads Group is an actor, clown, director and full-time dad. In addition to blogging at Dadapalooza.com and Clownlink.com, he and his wife are the founders of the Digital Family Summit, a first-of-its-kind annual conference where teens, tweens and their parents connect to learn how to live as a family in the digital world.